The teenage son is trying to tackle his way into a good university playing rugby; his little sister just started volleyball, Mum is a tennis enthusiast and Dad has a strange infatuation for getting punched in the face and has been an MMA fanatic since college. 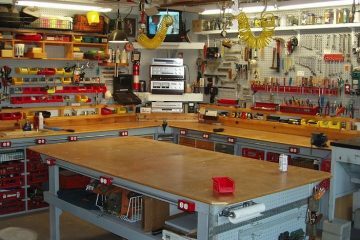 Keeping the ever-growing pile of equipment organized and neat can be a pain, without the right tools the home may be engulfed by a pile of old shin guards and elbow pads. 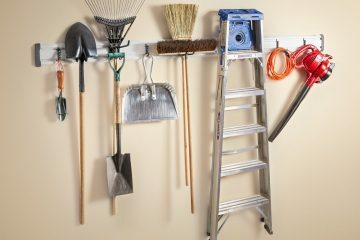 Some of us may be tempted to pile it into the garage, but then you’ve merely shifted the problem somewhere else, which is where you must be aware of an ally you’ve had at your back this entire time: vertical space, the secret to effective garage organization. With the right interior design choices and an innovative product, organizing a home where there are always seem to be at least three balls rolling around threatening to send someone to the ER has never been simpler. Besides balls, every sport seems to have an endless list of miscellaneous equipment. Mouth guards, hand wraps, athletic tape, pads and braces for every joint and bone you can think of. Where does all this stuff go, where it can be easily accessed and sorted through? Enter the 46cm wire basket, made by Gladiator. Its raised sides make optimal for making sure no one trips on an errant tennis or soccer ball and keeps your gear in place, so there’s no scramble to find it when it’s time for practice or the game. Its compact form and sides keep your other stray, small, easy-to-lose equipment, like strongman tacky, mouth guards for rugby or boxing, from wandering too far. Almost all sports require a particular type of shoe. Contact with the ground is where all power is generated and getting the right kind of grip can make or break performance. 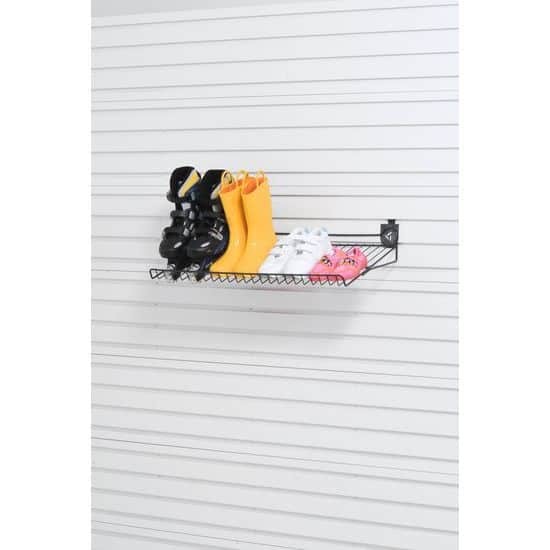 The Shoe Shelf by Gladiator is a dedicated home for all kinds, from athletic shoes to work boots. Rugby cleats, living harmoniously next to the jogging sneakers, who are, in turn, the happy neighbors of flat-footed wrestling shoes. A shoe shelf is an essential addition to the athletic family; it keeps the dust and grime away from the more “civilian” life shoes. If there’s an athlete at home playing a sport with a lot of bulky and hard-to-store equipment, like lacrosse or hockey sticks, skis in skiing, or mixed martial arts pads, there is no need to build something that resembles a medieval king’s armory. 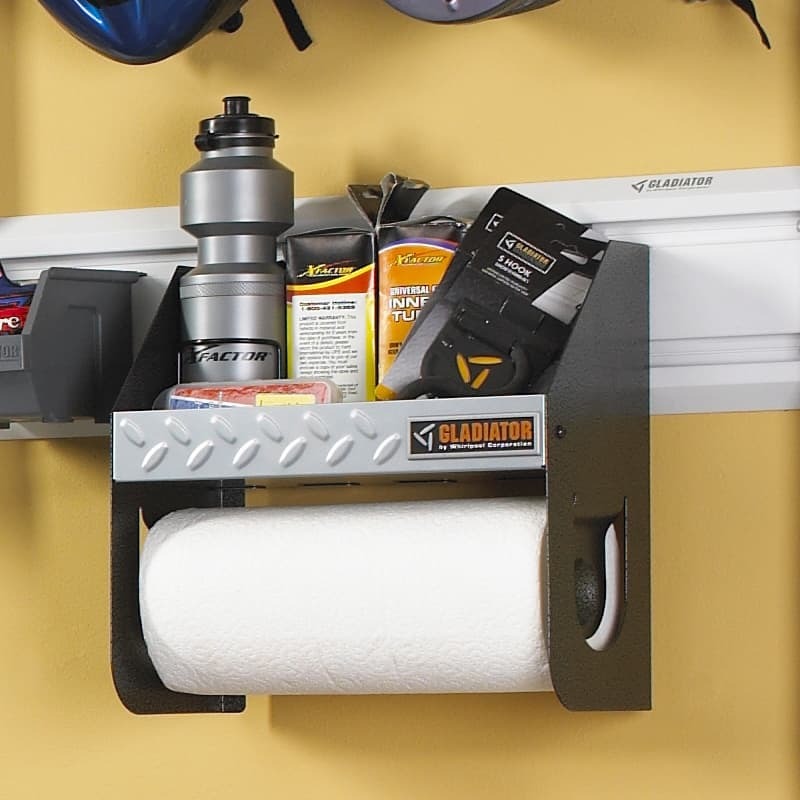 The Gladiator 1.14M Gearloft Shelf fills the void quite well. It has a strong structure, with supporting trusses to make sure on game day the hockey stick won’t be snapped in half from the raucous tumble of a collapsed shelf. 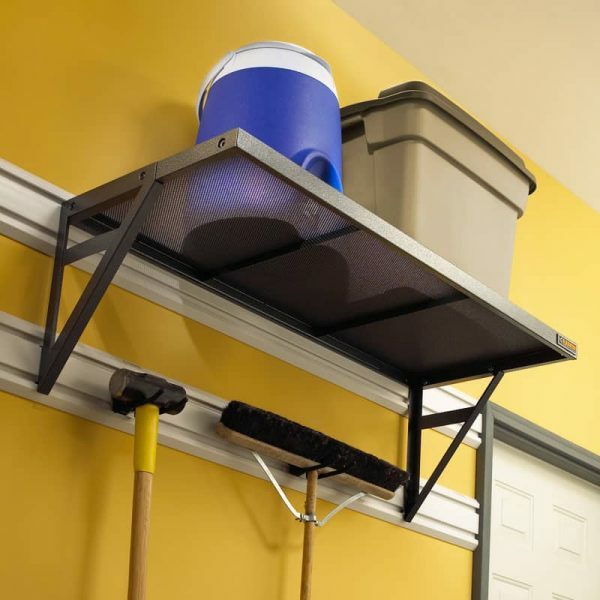 Its design also makes it easy to lay side-by-side, so you can establish a whole network of shelves running through your garage. 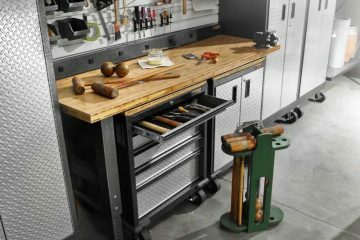 Useful for a family of star athletes or even an enthusiastic at-home mechanic and tinkerer. Finally, if there’s an up-and-coming Arnold Palmer at home, keeping your golf tools happy and sorted has never been easier than with the Gladiator Golf Caddy. 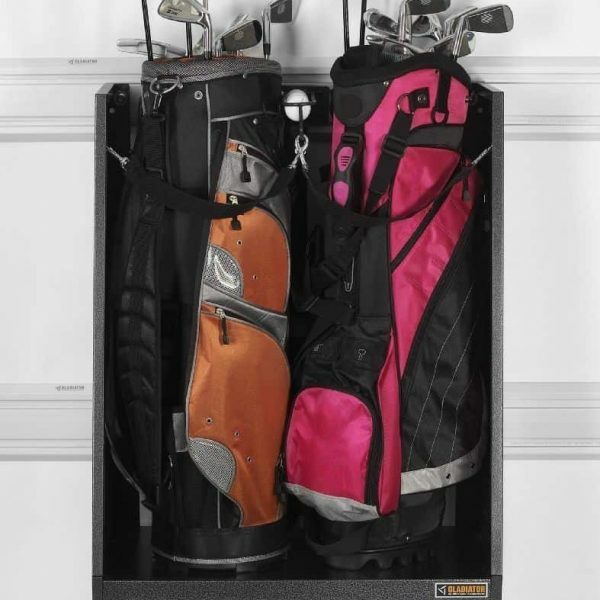 There’s both a rack for all 57 varieties of club that’s needed to get through the gauntlet, the bag they’re stuffed into, as well as a cubby for shoes and room for the golf balls. Storage is one of those factors in life that is almost like a constant battle with entropy, if you don’t properly store your worldly possessions your home can quickly become the den of a hoarder. The solution lies in picking the right method to match your lifestyle. 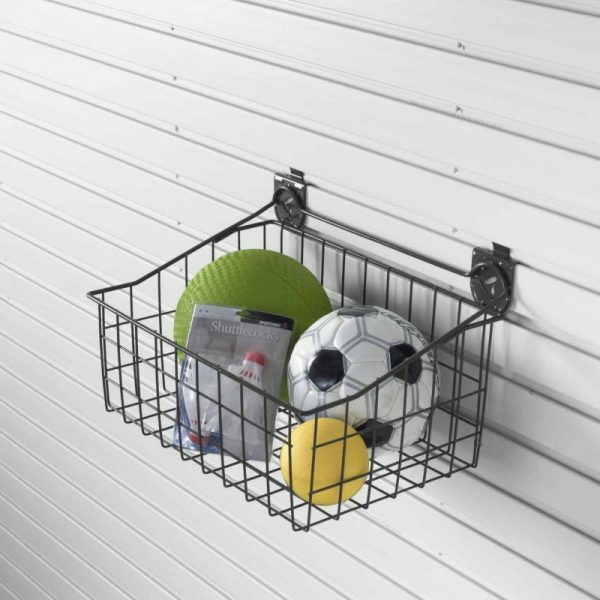 For busy athletes and their families, jumping from one practice to the next, this can seem overwhelming without the right equipment, and these shelves let you keep your life in order so you can be sure to always have what you need for the next bout.